Likely this ought to have been one of the first items I reviewed from the Chiles and Chocolate Festival at the Desert Botanical Garden a couple of months ago. But then again, hot chocolate is one of those things that you like to keep for a while so that you can try it again multiple times before making comments. 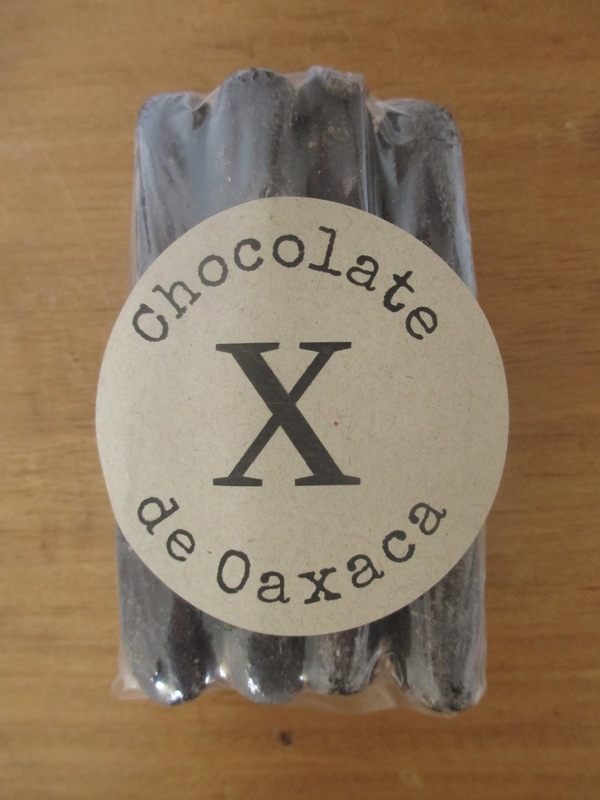 This hot chocolate isn't like others: it's made in Oaxaca in small batches as part of a family tradition. So it's similar to the Mexican hot chocolate (Abuelita or Ibarra) that you can buy at any store--just much, much better. 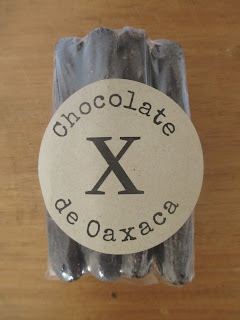 I prefer Abuelita chocolate to Swiss Miss, sure; this one from Xocolatl, though, I prefer to nearly all of the hot chocolates I've had (I'm just using "hot chocolate" as a general, umbrella term today). And it's no wonder. 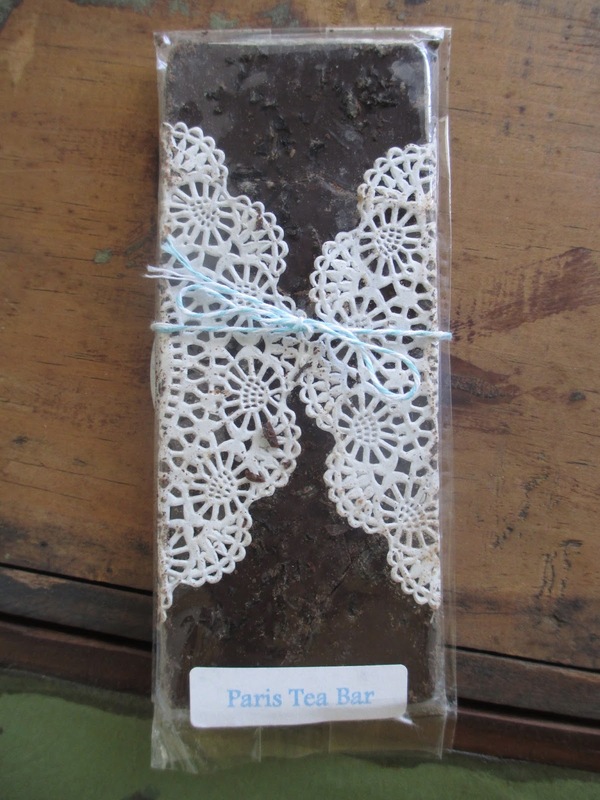 The cocoa beans used in this chocolate are grown in Chiapas, Mexico, which is in itself less common; I don't come across much Mexican-grown cocoa. The only other ingredients are cane sugar, cinnamon, and almonds. No fluff, no fuss, no fillers, no junk. Instead of coming in the familiar round discs, this chocolate comes in sticks. There are three sticks attached to one another and four of these sets of three in the bag that I bought. So that's twelve dollars for twelve sticks; expensive only compared to the price of cheap hot chocolate, but completely reasonable otherwise. My only complaint about this chocolate is in that stick style. I like hearing about how the chocolate is hand rolled into sticks, but I don't like trying to break off just one stick. If any of you buy Abuelita of Ibarra, you'll know that when you have trouble breaking a piece off of a disc, you just stick a knife into it and presto, it becomes easy to break. Not so here. Even using a knife, I usually can't break off just one stick, so I end up having to use two half sticks or something like that to get the right amount. Maybe if you're making more than one serving, you won't have as much of an issue with this. The proportions are one stick per cup of milk (almond in my case). Most often, I end up using half of what a hot chocolate label recommends. To my surprise, then, I found that this proportion was exactly right--so much so that I haven't even been inclined to try adding less chocolate per cup, even just to experiment. 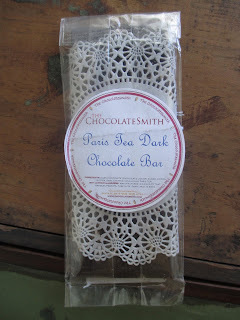 I did choose the 60% cacao instead of the 70%; I don't normally like my hot chocolate to be too dark. I leave that for the chocolate bars. So maybe this lower percentage is also why I was happy with the full amount. I heated the chocolate in my usual method: in a small saucepan, with a whisk to mix it all in. I did find that this chocolate was much easier to froth than Abuelita and Ibarra are--which was exciting. The only explanation I really want to give about the flavor is that it's exactly right, for me at least. There is rich chocolate flavor, but it isn't overwhelming. There is sweetness, but not a huge amount. I can taste a little cinnamon, but mostly I don't notice it (maybe also because I always add cinnamon to hot chocolate, so maybe it's just a neutral flavor to me). And the almonds are stronger than what I would expect (considering that they're not mentioned as a flavor, just in the ingredients list). They make the chocolate taste very Old World. I can almost taste rose and orange right along with the almond just because my mind is associating the flavor with all of those historical drinking chocolates they have at Kakawa Chocolate House in Santa Fe. 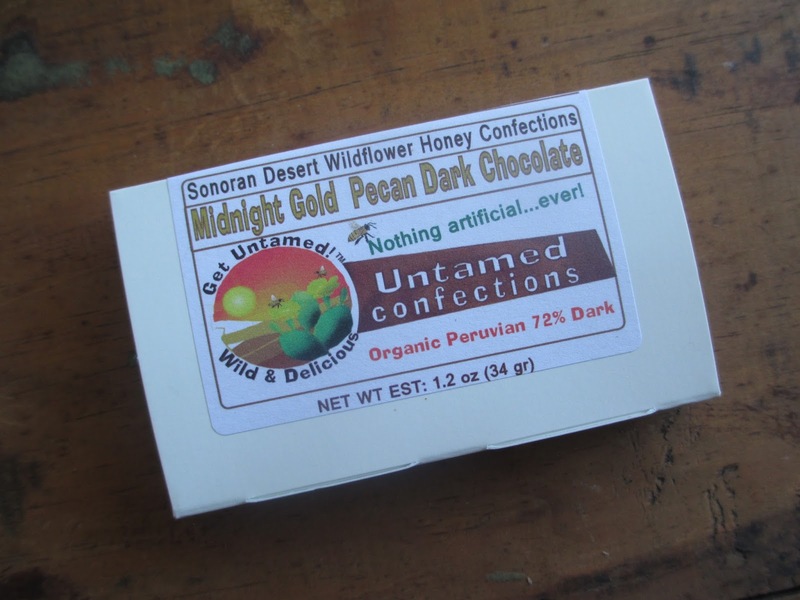 No, this isn't flavored chocolate--and I might be making the almond taste sound stronger than it is. What I mean to say that the flavors here are textured, simultaneously simple and complex. That's traditional, isn't it? Food that is approachable and recognizable--and wonderful. I highly recommend this chocolate, if you ever see it around (well, they do sell it online, as well). This is hot chocolate. 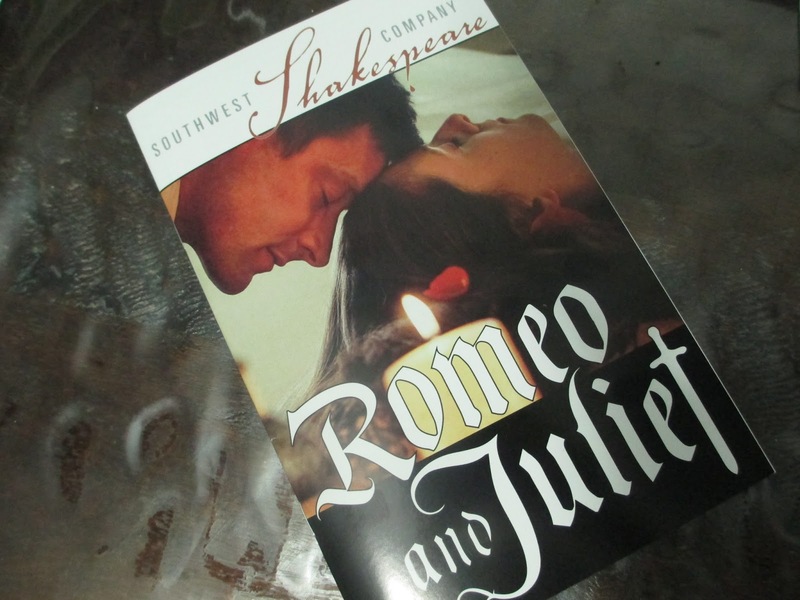 Well, you know, Romeo and Juliet wouldn't exactly have been a play I would want to rush out and see, except that I do like to keep an eye on most of Southwest Shakespeare Company's productions. You just never know which ones will click with you and resonate in a powerful way. Romeo and Juliet (directed here by Patrick Walsh) began and I thought I was seeing things that I expected. The prologue, the two families, and the comedy. But then something happened. I want to say it was around Mercutio's Queen Mab speech that I noticed this production was taking a different angle. That speech is dirty even for Shakespeare--I remember finding it dirty in high school even though I probably didn't even realize then just how dirty (why, again, tell me, is Romeo and Juliet the main required Shakespeare text [even though there are other Shakespeare plays out there] in high schools, even when sleeveless shirts or shorts that don't come down to your knees are considered too inappropriate for school? I digress). That speech is usually just played as comedy, but here it became a frenzied bit, where Mercutio starts entering his own zone, which made the scene fall in an entirely different way from what I am used to seeing. That concept of actors entering a zone reminded me of Hamlet last January. And then I thought more of Hamlet as the play continued to unfold, greatly slimmed down. As I continually mention, I prefer Shakespeare's tragedies to his comedies. And though Romeo and Juliet is a tragedy, it's still full of all of the comedy that I generally dislike. This production cut most of that away, leaving us with the core love story. Romeo and Juliet a love story again, a story where you can genuinely feel these two characters falling in love? Wow, that's impressive simply given how familiar this storyline is. It all had so much to do with the performances of Sasha Wilson as Juliet and Kyle Sorrell as Romeo. They did that thing of making the audience believe what we were seeing on stage, of entirely bringing us in. Some versions of this play emphasize the youth of the two characters. This one didn't. Their age was mostly irrelevant. Their doomed love was central. 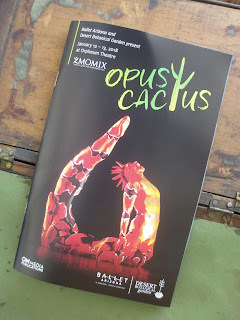 Maybe also watching this play brought all of the emotions of falling in love because of the music. Ben Vining provided live cello music. The cello is already one of those instruments that speaks with a human voice, and the way that the music was mainly subtle and yet always just perfect for the moment established the emotional tone. Cello music can be tender and it can be heartbreaking--like love. Romeo and Juliet runs through this Saturday. And it's exactly the type of production I like to see from Southwest Shakespeare. Yes, spoilers for The Last Jedi. You haven't seen it yet? Not that I intend to come around and bash Luke (he's just a person, after all), but isn't he a bit hypocritical here? He looks at Rey with wide, fearful eyes and says in shock, "You went straight to the dark." How scary for him! First Ben and now Rey, too! Poor Luke with all these evil apprentices. Think about it, though. What was one of the first things that Luke did when he was training with Yoda? He felt cold (which is a sign of the dark side) and he felt called to go into the cave in the tree that festered with the dark side. When Yoda advised him to leave his weapons, Luke ignored him and went and had a vision of violence and darkness. He dreamed he fought Darth Vader and then saw himself in Vader. All very dark. But was Luke overcome by darkness, or did Yoda say, oh, my, you're so deep into the dark side, boy? No, no, no. Luke just had to be aware of the dark side. He went, he saw, he left, he moved on. A couple decades or so later, Luke needed to let Ben and then Rey do the same. He looks at Rey with such fear. Sure, he has bad memories of Kylo, but doesn't he treat Rey a little unfairly? She was just aware of the darkness under the island in the same way that Luke was aware of the darkness in Dagobah. Rey even went into that dark place and had her own vision--and it wasn't even a very dark vision. She just saw herself, a visual image reflecting the very fact that it is her own choices that shape her identity. For all that Luke pretty much washed his hands of guiding Rey from the dark side (though honestly all he needed to tell her was what the Force was and what what light and dark mean when it comes to the Force), Rey handled herself pretty well. And Ben? Luke's reaction to Rey makes me wonder how much Luke also overreacted with Ben. No, I'm not saying that he completely made up Ben's infatuation with or weakness toward the dark side. But Luke did make up the fact that Ben was automatically aligned with the dark side. He says now that such "raw power" didn't scare him enough then, but I think the opposite is true. I think Luke was so scared by Ben's potential to be a second Vader that he withdrew himself and he forgot that it was the very connection between individuals, specifically between family members, that brought Anakin back from Vader. Rey says it herself: Luke's mistake was acting like Ben's choice was already made. Did Luke create Kylo Ren? No, everyone makes their own choices--but Luke did label Ben as something dark and evil. And Ben, already conflicted, believed him. The first ill that Luke did Ben was to pull out a deadly weapon against him. The second ill was to tell him the lie that he was born of the dark side, that he was darkness who could only rise to be darkness. That is the lineage that Ben received. He was already an adult when he learned that Darth Vader was his grandfather (and that his parents and his uncle knew all along)--and then right after his uncle tries to kill him. So he embraces the darkness, the only thing he has left. But isn't part of it true? We are all born into a certain darkness. In our galaxy, we call it sin. In the Star Wars galaxy, it's the dark side. Everyone has that legacy and that capability. The important thing is to choose the light over the dark. Kylo's still stuck thinking that the darkness is all he deserves. Leia gave up on him. Luke gave up on him. Snoke was just using him. Now even Rey has closed the door on him. So he's left holding the locks on his own chains, ignoring the key because it must just be a phantom vision, it can't be something real. Ah, Luke, you didn't put the darkness in your apprentice--but you might have forgotten to tell him about the light of hope that extinguishes darkness.